Very neat and scarce offering, someone did a great job keeping this all together for almost 50 years! 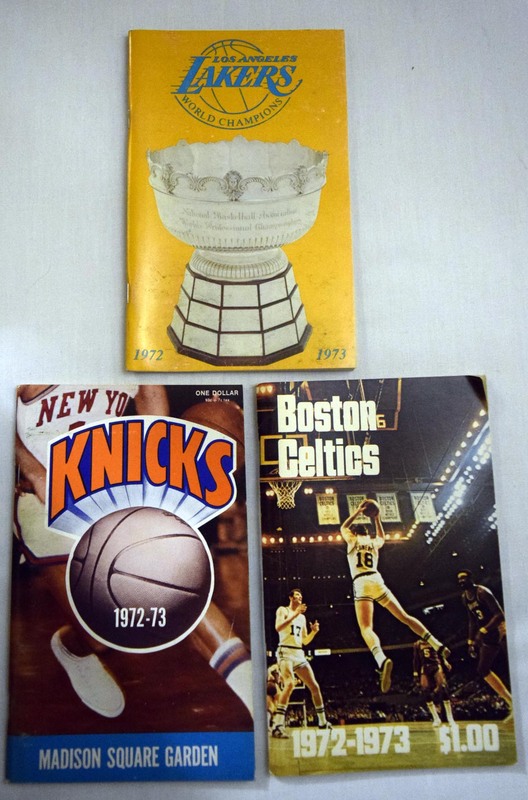 This lot is a very strong run of 17 different NBA media guides from the 1972-3 season. All of the key teams are here of course: Celtics, Knicks, Lakers, it is interesting how the teams chose such different cover designs for each issue.